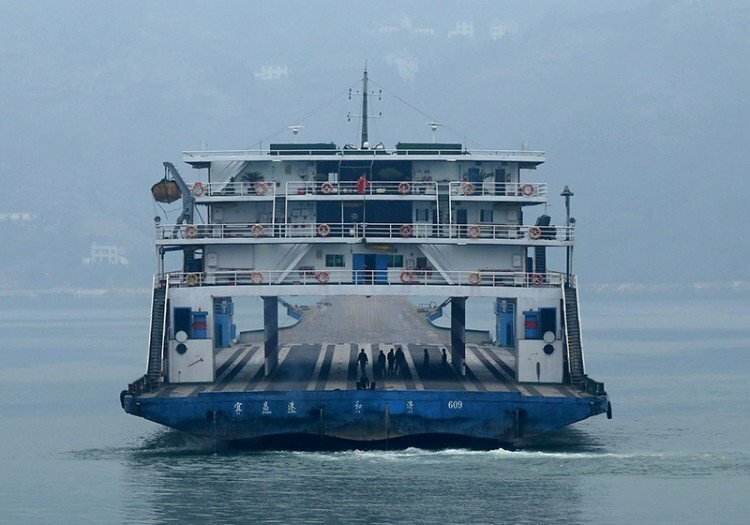 Roro passenger ship Heji 609 hit a reef while it was sailing near Chongqing on the Yangtze River yesterday. The incident caused water penetration into the cabin, with the ship carrying 40 vehicles, 68 passengers and 20 crewmembers onboard. Chongqing Maritime Safety Administration sent a team for the rescue and managed to evacuate all the passengers and crewmembers onboard the vessel. Currently two salvage vessels and two floating cranes are moving the vehicles on the vessel to another roro vessel Heji 616. The vessel is operated by Yichang Heji Transport, a shipping company which largely focuses on vehicle shipping on the Yangtze utilising a fleet of 15 roro ships.